For beginning entrepreneurs, we offer a Vendor Development Program, an educational support program provided for those who are just getting started in their business. This FREE Course will cover what you need to know to prepare a new or updated business plan and connect you with the resources necessary to build a solid foundation for growth. 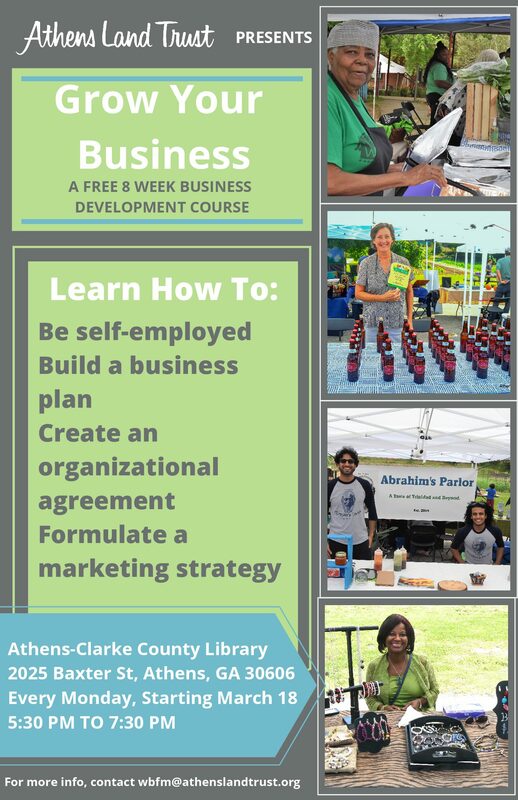 The course will take place at the Athens-Clarke County Library every Monday, starting March 18. The course will run from 5:30 to 7:30 p.m.